Hello lovely people! 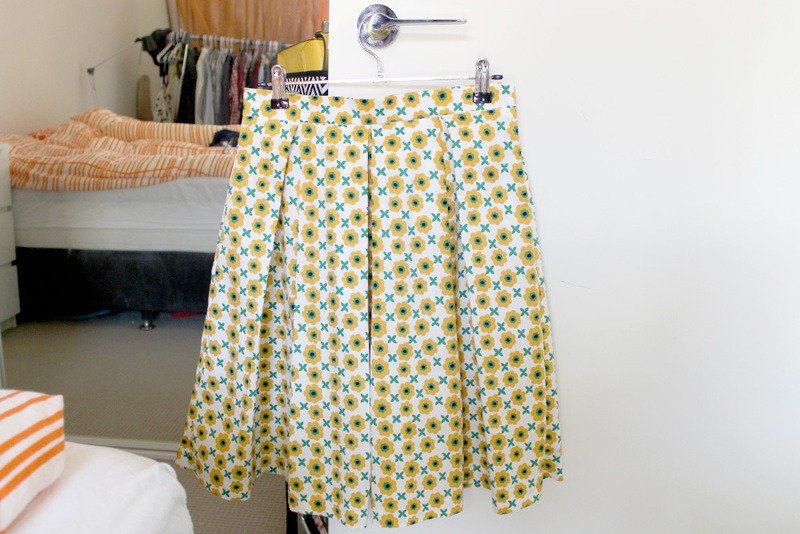 Just a quick skirt project to show you! The insides and Invisible zipper! 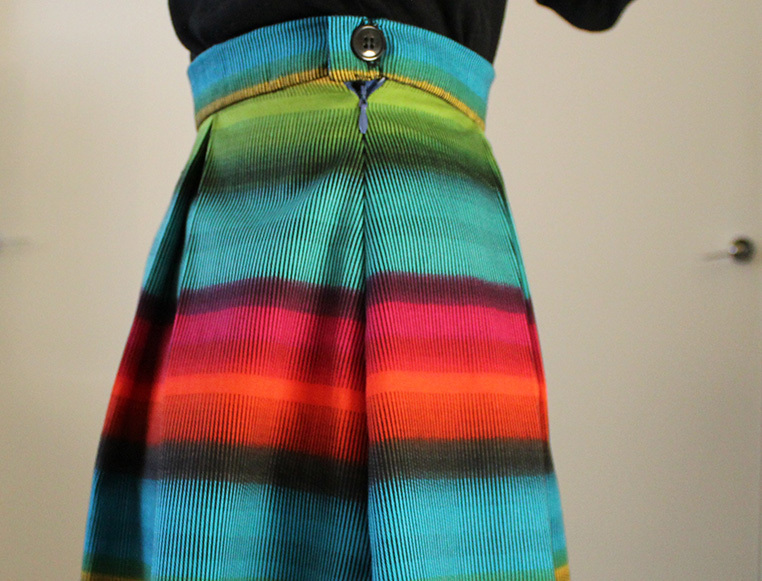 Why?/materials: I wanted to try Burda 7034… I’ve been in love with pleated skirts for a long time. 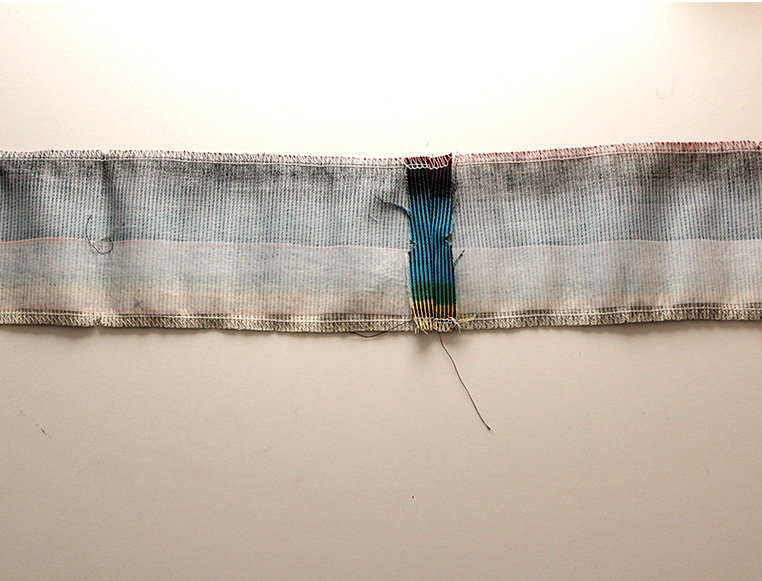 The cotton fabric was purchased as a full roll of discounted fabric a long time ago. 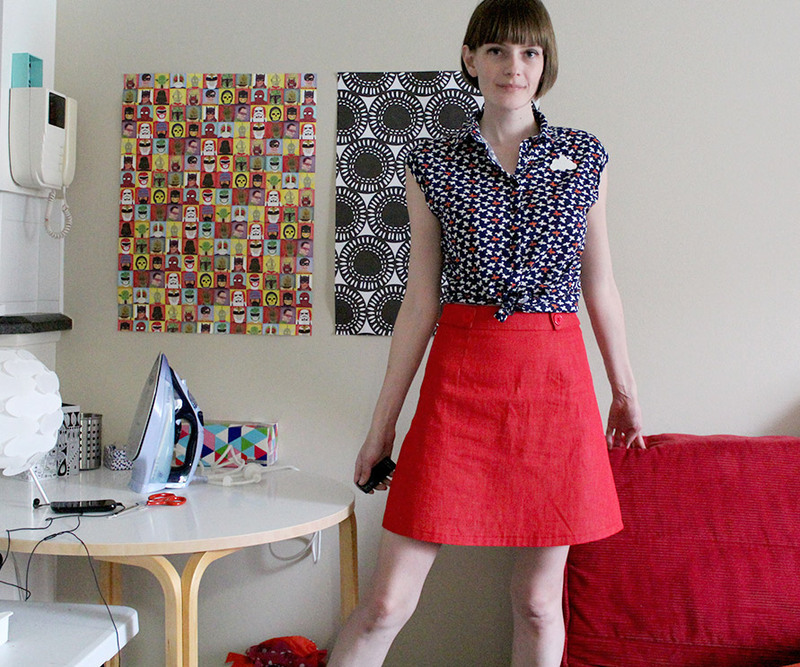 I have also made a dress from this fabric way back in 2012. So what does this one have going for it? So quick to whip up! Using my special foot to do a blind machine hem is always swell! There is some funky stuff happening in the back. I’m OK with pleats in the back (because I wouldn’t mind some *ahem* added volume in the back) but I’m not sold on the positing of pleats on the back. 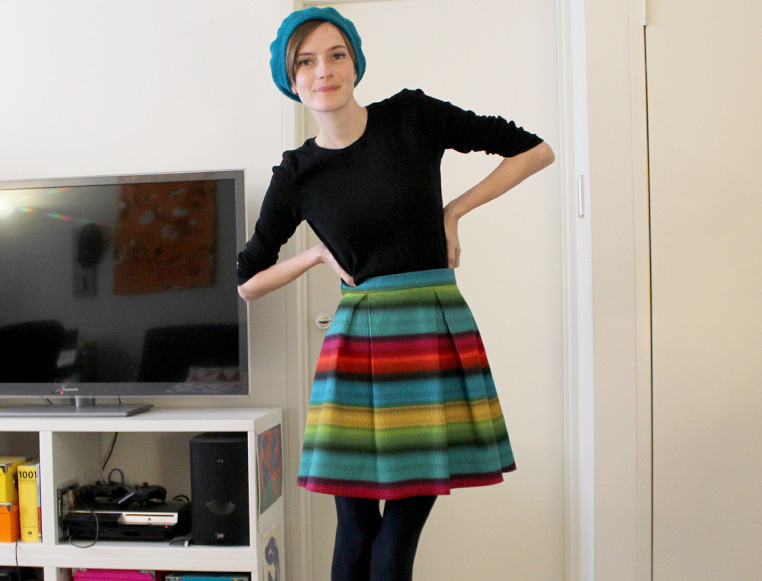 I wanted this skirt to be a little more snug, and sit higher on the waist. The waistband is just a straight piece of fabric, so that is probably not helping things…(If I make this again I may size down). In order to determine the length of the waistband (well also width) I took my measurments and I wrote down the length of waistbands already in my wardrobe. Measuring things you own and love is often a good way to get an idea of how you like things to fit. 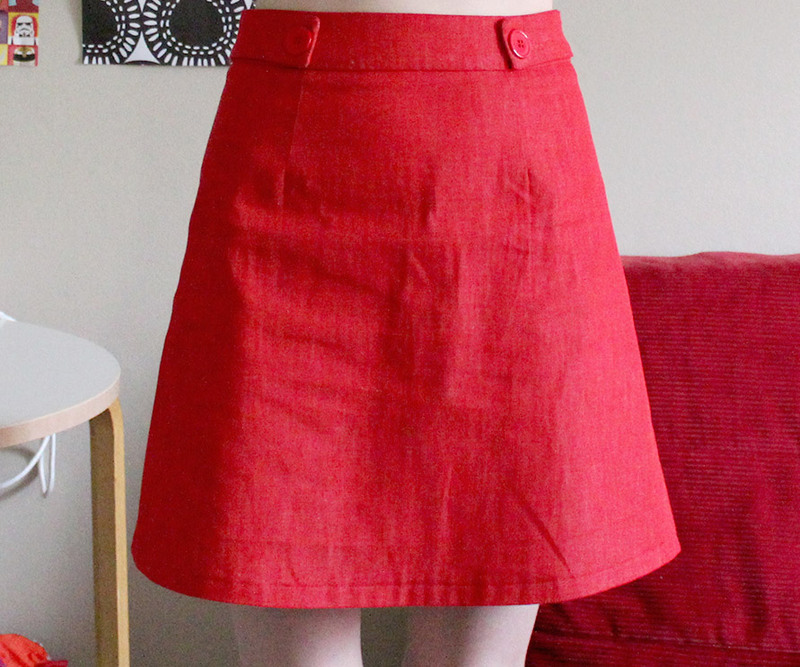 After attaching the waistband to the skirt and trying it on I ended up shortening the waistband by about 3.5cm, it was pretty easy to do after the fact, by cutting off the excess fabric. 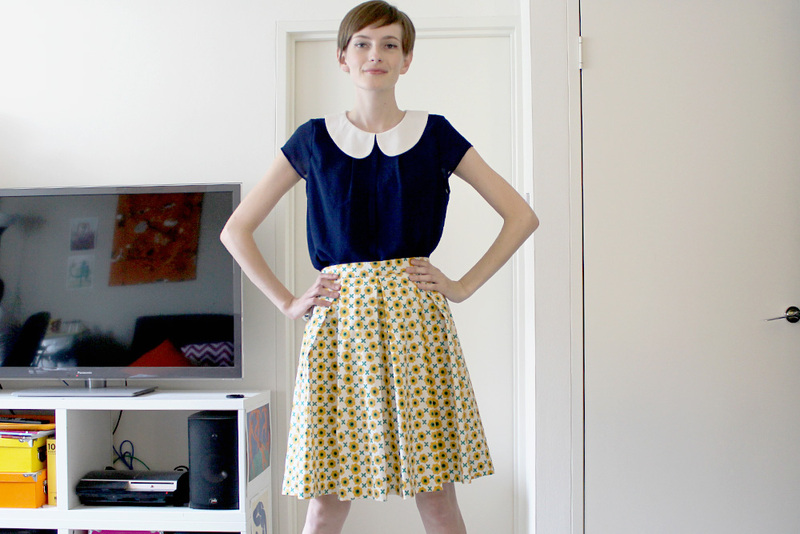 The dress pattern/skirt was a size 8. I sewed the seam allowance in twice (s.a was 3cms before trimming) I will remove 1.5cms from the pattern or go down a size if I make this again. I must remember to make all these changes to the pattern I have not done it yet! 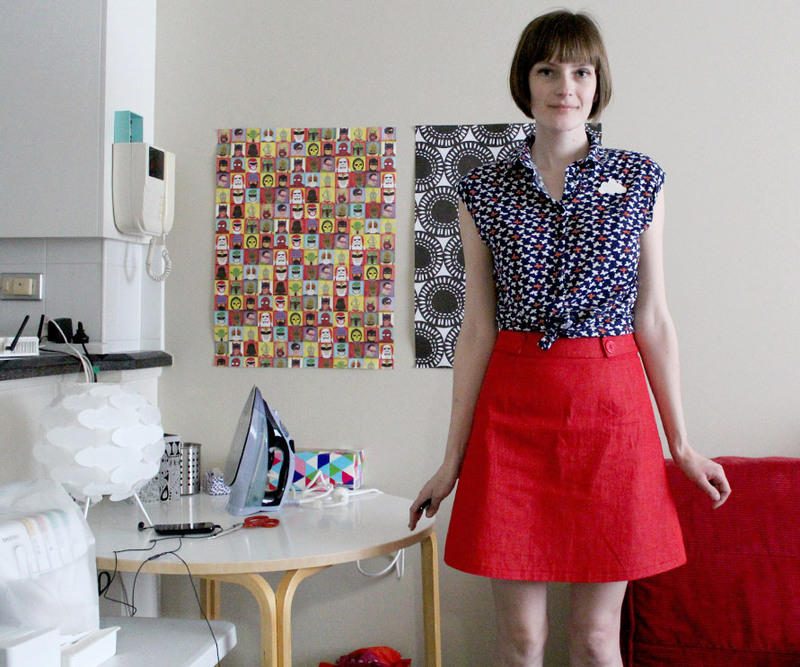 So that’s one item in the sewing pile done! It was pretty fun to make! 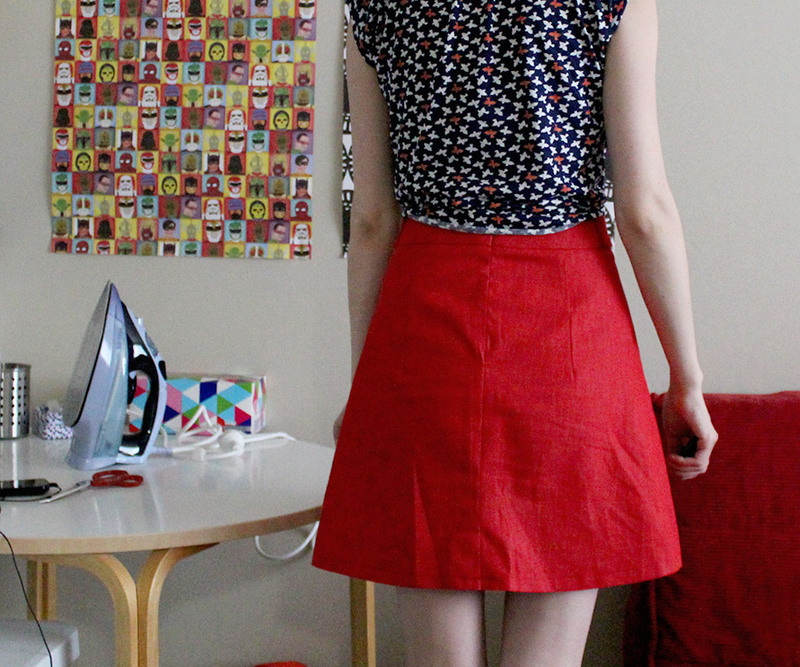 If you happen to have some left-over fabric, consider using the skirt portion of a dress pattern you like, to make a skirt! My leg is better and I am so happy I can sew again. 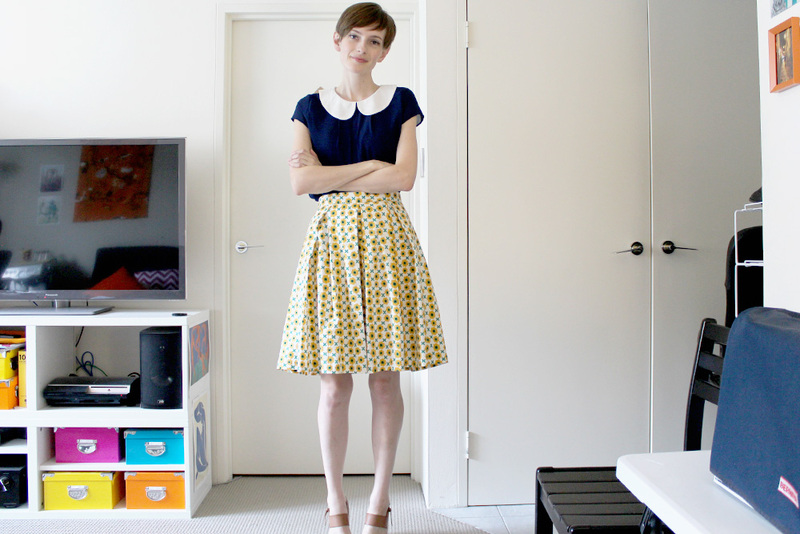 Simplicity 3823 and the zillion alterations I have done on it has been getting me down. I am on version 7 and it still doesn’t fit correctly. I am really losing patience with this pattern or perhaps just patience with myself. I know I wont be happy with it unless I get a good fit but my skills in that area are sorely lacking. Perhaps its time to invest in some books on fitting, but then the ones I have are not much help…. 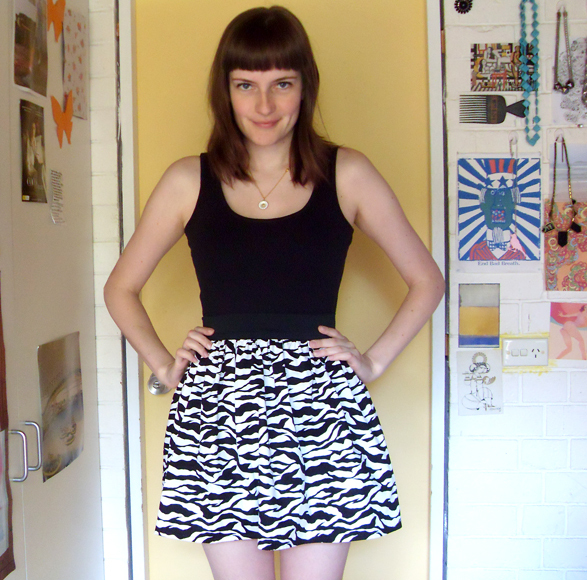 So If you have followed my blog you will know I always turn to easy/fun projects when fitting a dress is getting to me. 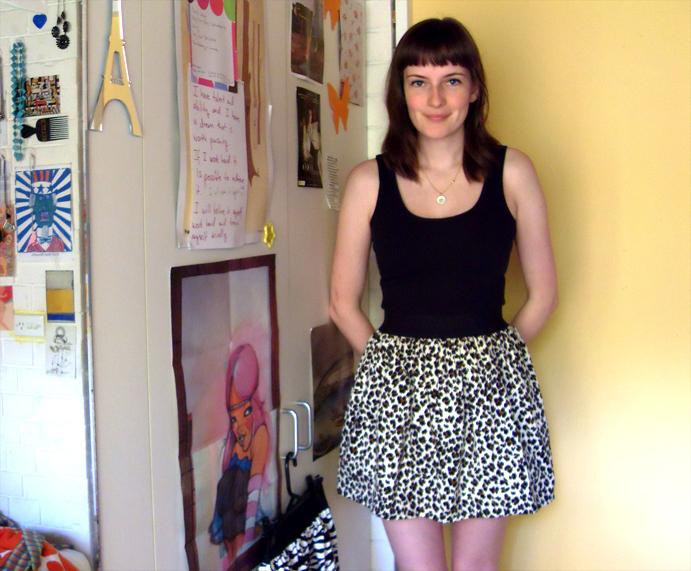 This project is super quick and easy I made the leopard skirt a long time ago and I got a lot of wear out of it in summer. I wanted to make two more for my trip and they are great for travel because they are versatile and don’t take up much space in the suitcase. 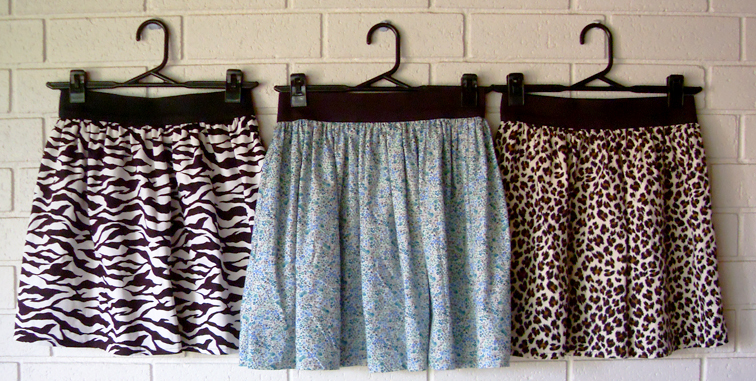 I prefer skirts to shorts or pants and these are so easy to wear. 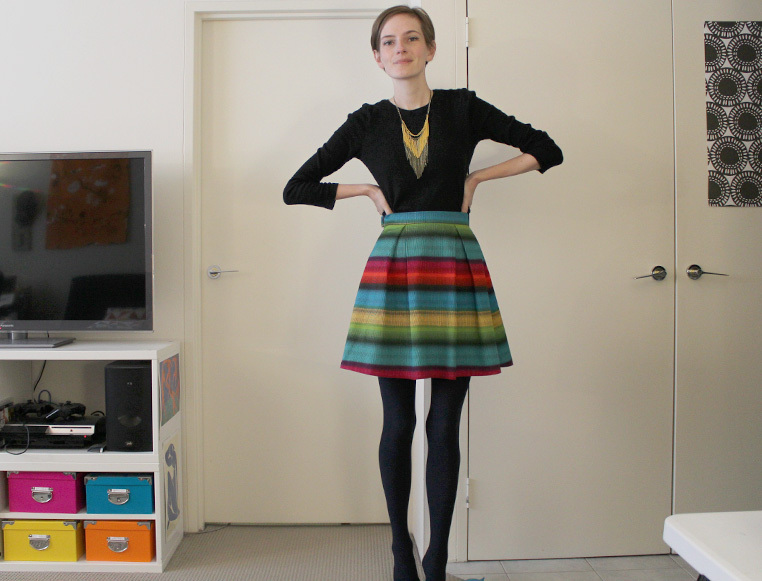 I use 70.5 cm of wide black elastic. 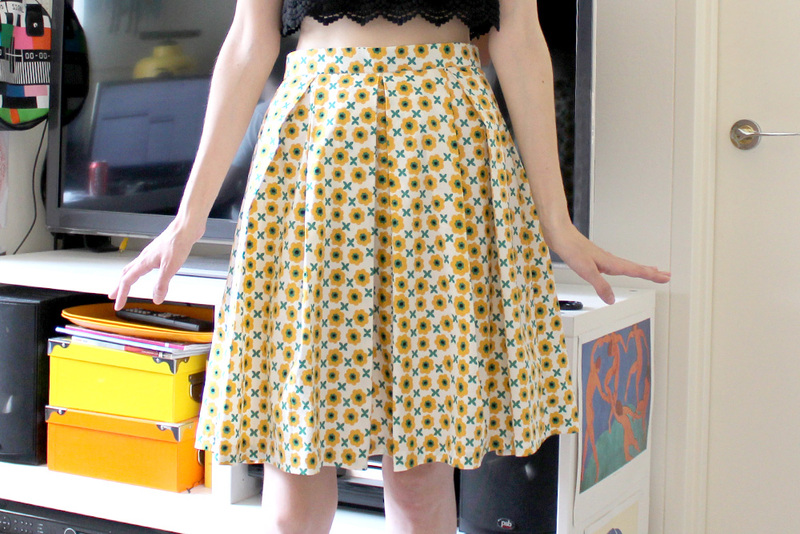 The skirt length is pretty short at around 45 cms including seam allowance but it’s quite full and gathered so I think it balances out, this is the shortest I will go for a skirt. 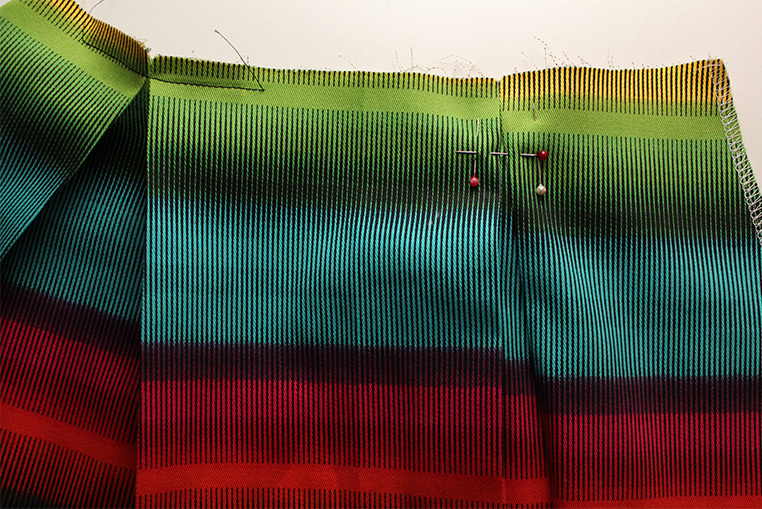 I sew the elastic on top of the fabric with lots of pins. 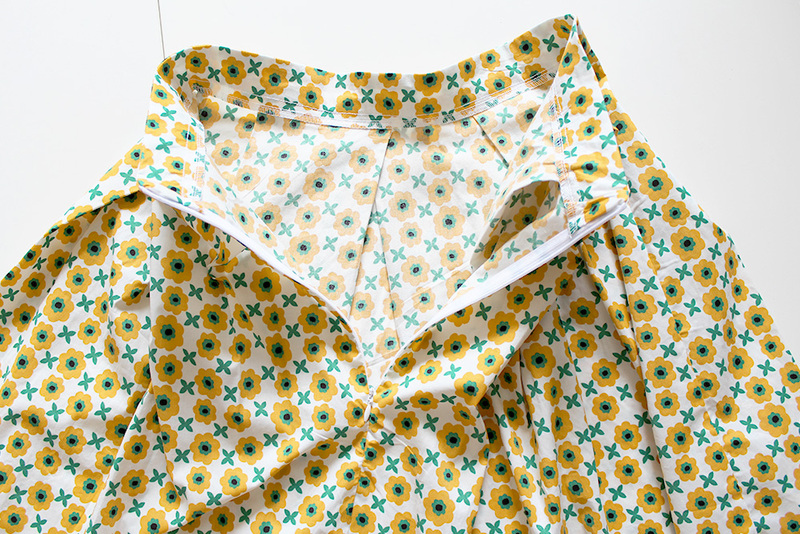 The zerba print skirt is just one gathered piece. 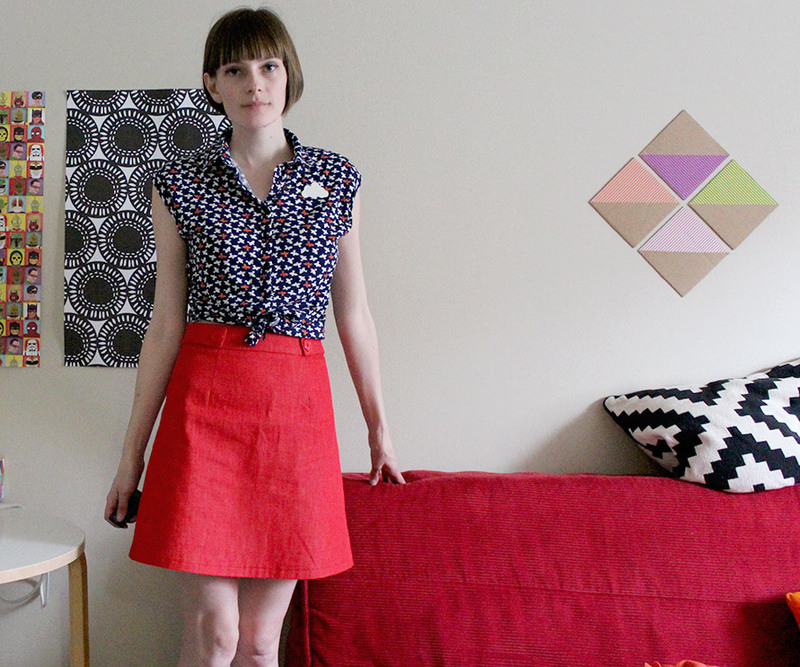 Because the fabric was 120 cm wide I could get away with just using the 45 cm piece I had. 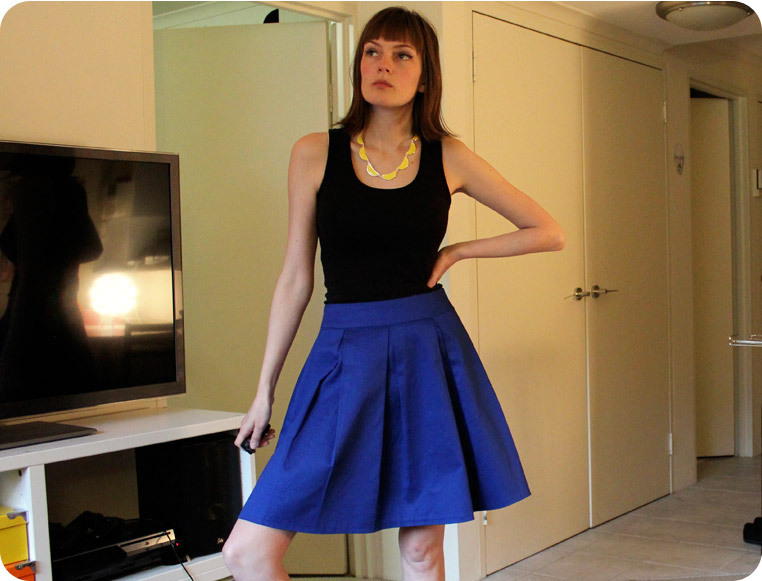 The blue floral skirt was made from fabric that was 112cms wide so I sewed is two pieces of 112cms together before I gathered it. thats why the gathers are heavier. 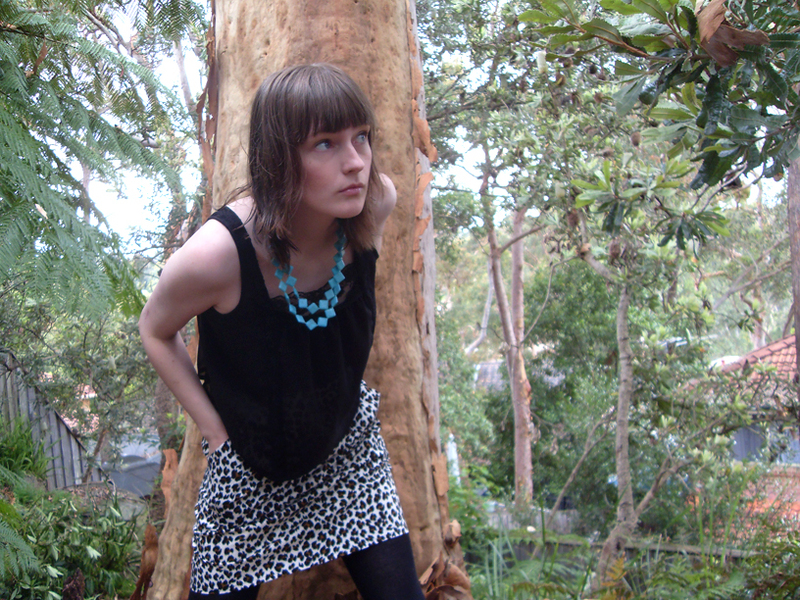 I look weirdly evil in this photo. But as you can see I did not have a lot of luck with taking photos. I also made a whole bunch of drawstring bags for my trip but perhaps thats a little dull to post. There is so much more to post about but it will have to wait. 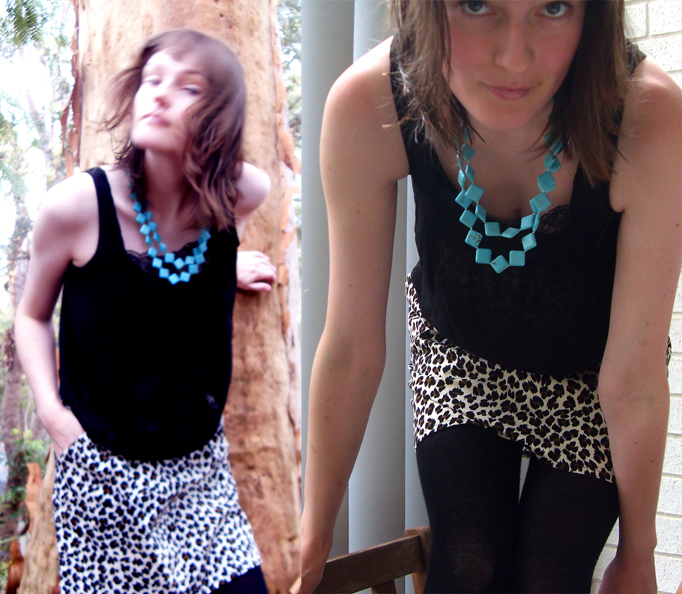 Well I attempted to take some photos of me wearing the leopard print skirt I made…. It has been a dreary day today (where are you summer? it should be hot by now) with rubbish light. I went into my backyard to take photos. Luckily I was wearing my doc martens so I could avoid getting bitten by snakes and spiders ;). 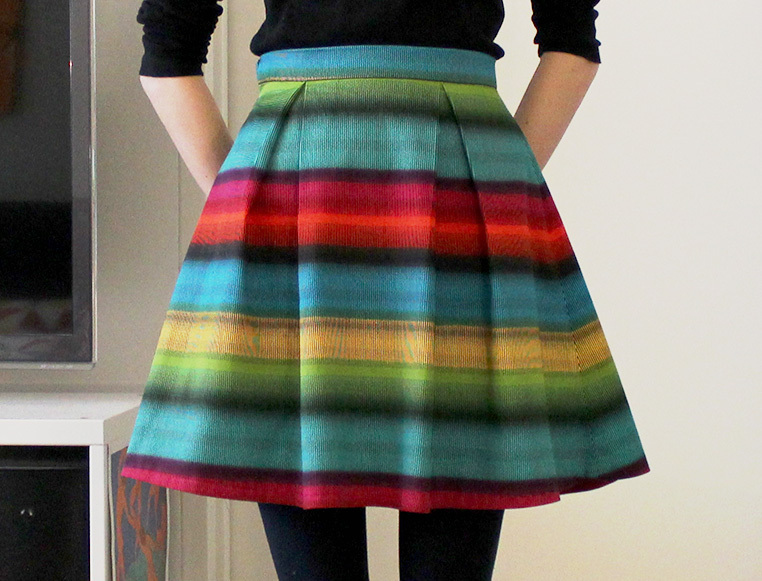 The skirt is super simple. 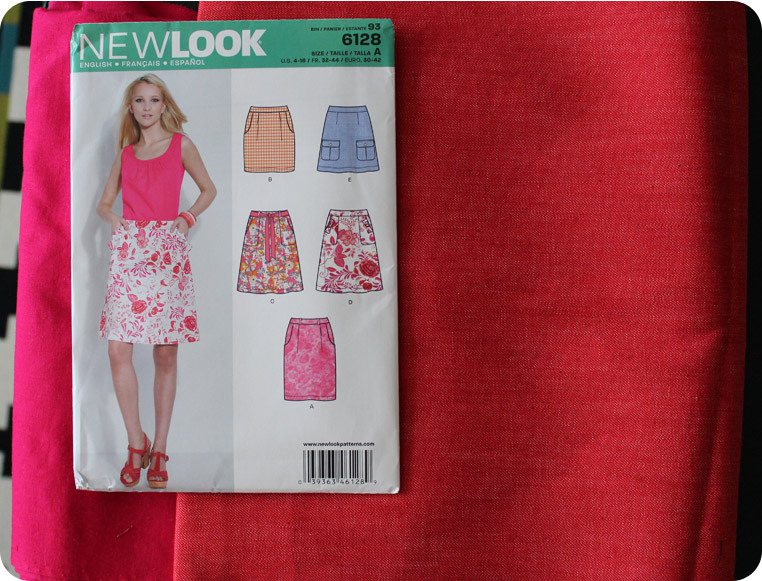 I used Simplicity 2451 pattern I have posted about it before. 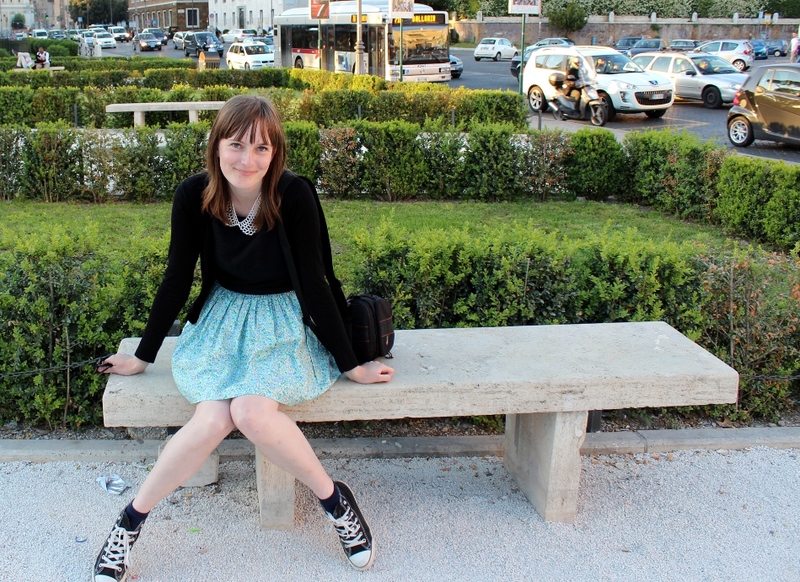 As you can see I am trying to learn to take “outfit photos”. 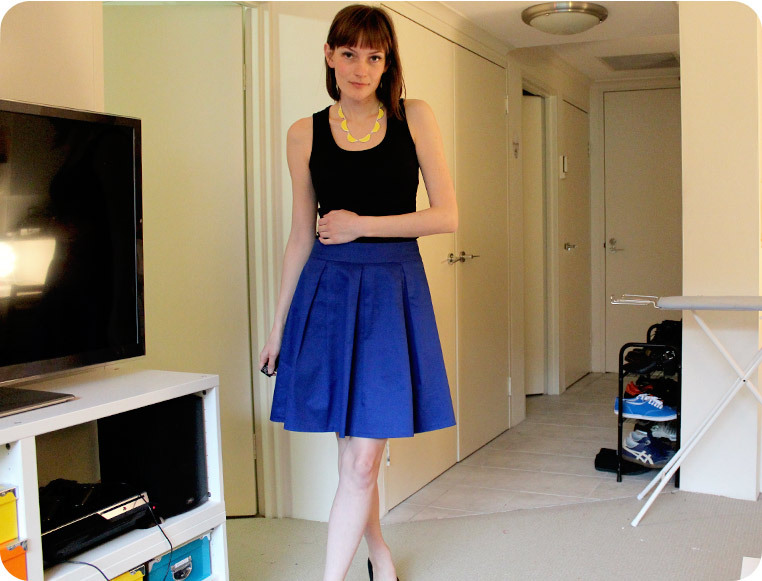 Below are some failed attempts to get my outfit into the photos….